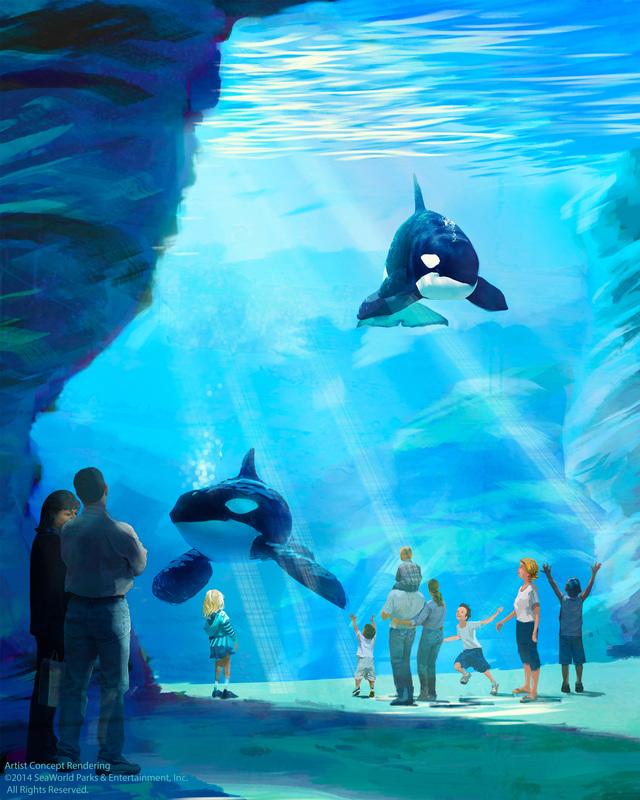 SeaWorld Entertainment, Inc. announced plans to build new, first-of-its kind killer whale environments at all three SeaWorld parks, starting with SeaWorld San Diego. SAN DIEGO (Aug. 15, 2014) – SeaWorld Entertainment, Inc. announced today that it plans to build new, first-of-its-kind killer whale environments and that it will fund new programs to protect ocean health and killer whales in the wild. 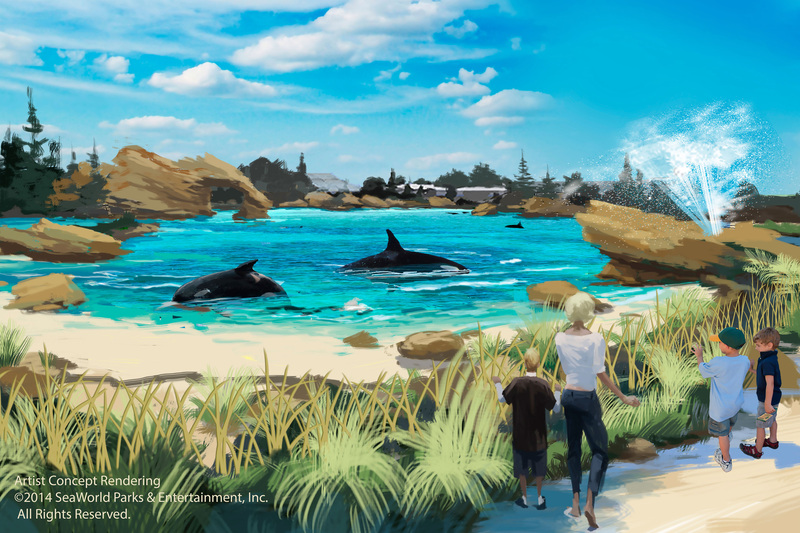 The new projects will build on SeaWorld’s legacy of providing state-of-the-art, innovative homes for its animals, and will offer park guests unique and inspiring killer whale encounters for generations to come. As part of its vision for the future, the company also pledged $10 million in matching funds for killer whale research and is embarking on a multi-million dollar partnership focused on ocean health, the leading concern for all killer whales and marine mammals. With a planned maximum depth of 50 feet, surface area of nearly 1.5 acres and spanning more than 350 feet in length, the new environment will also have views exceeding 40 feet in height, providing guests with the world’s largest underwater viewing experience of killer whales. Transformational New Environments The first of the new environments will be built at SeaWorld San Diego where the killer whale environment is planned to have a total water volume of 10 million gallons, nearly double that of the existing facility. With a planned maximum depth of 50 feet, surface area of nearly 1.5 acres and spanning more than 350 feet in length, the new environment will also have views exceeding 40 feet in height, providing guests with the world’s largest underwater viewing experience of killer whales.